“When we had segregated schools and when we had a time when, you know, girls weren’t allowed to have the same kind of sports teams [these were] important inflection points for the federal government to get involved,” the new Secretary of Education, Betsy DeVos, said recently. Our nation’s students need her to know better. 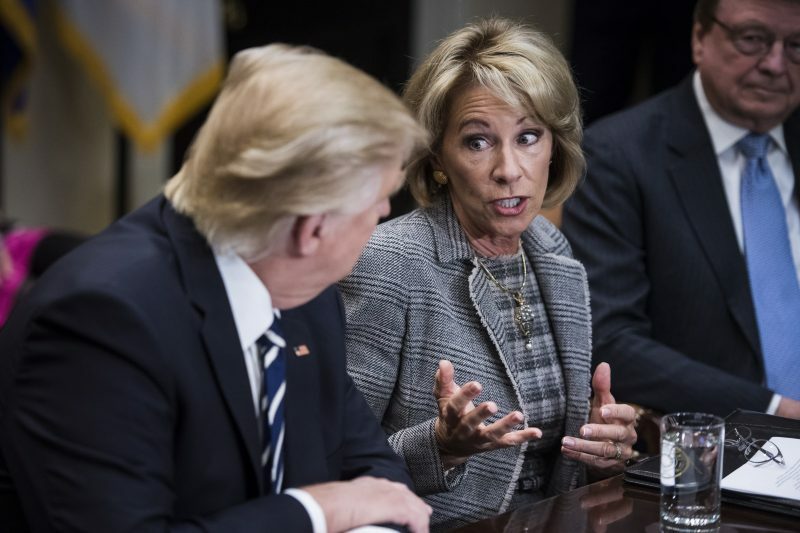 Secretary DeVos holds the purse strings for billions of federal dollars and leads federal involvement in schools, making it critically important that she know what students in too many schools today know all too well, and what Congress has mandated for close to 60 years: The federal government must actively ensure that our nation’s schools keep core civil rights promises. I led the U.S. Department of Education’s Office for Civil Rights, so I can offer Secretary DeVos a dose of reality about just how far we have to go as a nation to fulfill the law. In Lee County Schools system in rural Alabama, for example, which had years earlier convinced a federal court that it had eliminated the effects of segregation, one of the four public high schools served more than 90 percent black students – even though the district student population was only 23 percent black. The majority-black high school had never offered an Advanced Placement course to its students until three years before the civil rights office investigated, while the other three high schools offered a broad range of A.P. courses. Investigators from the Office for Civil Rights asked the principal of the overwhelmingly black school why he didn’t offer high-rigor courses. He said his students needed remedial education, not A.P. It took federal intervention in 2013, almost 60 years after Brown v. Board of Education, to ensure that all students in Lee County – not just the white students and the few black students attending majority-white schools – had access to an education that would prepare them to fulfill their dreams. In a district in the Southwest, teachers required a boy with autism to stand in front of his class and listen to his peers tell him what they didn’t like about him, as a way to discipline the child. When his mother complained, administrators defended the decision, saying the school needed to be able to innovate. It took federal intervention to ensure that this child, and his peers, did not suffer further discrimination at school. In a Northeastern district, a middle school boy’s self-portrait was defaced with a gender slur, and he endured regular taunts from his peers — in front of school administrators – telling him he was too effeminate. His school refused to investigate many of the harassment incidents. With federal intervention, the school finally met its obligation to ensure that this student, and all students, could participate in school without ridicule for who they are. In West Contra Costa Unified School District in California, where there were highly publicized rapes of middle school and high school students, administrators told the civil rights office staff that they were aware students were sexually harassing each other at school, but they hadn’t taken action because such behavior was expected of Latino students in an “urban culture.” After federal intervention, students in the district can now attend school without being subjected to a hostile environment of harassment and discrimination. At Shaw University in North Carolina, a student with cerebral palsy arrived on campus for orientation only to be told his admission had been rescinded because of his disability. University officials told the civil rights office that they routinely denied admission to students with disabilities if the school couldn’t readily accommodate the student. It took federal intervention to ensure that the Americans with Disabilities Act, which had become law some 25 years earlier, would apply for students wanting to attend Shaw. During President George W. Bush’s Administration, the civil rights office investigated racial harassment that had occurred on the way to a high school basketball game. White students attacked a black student, threatening to lynch him and other students of color. Only with federal intervention did the district finally address such racial harassment. At an elementary school, district administrators admitted to segregating Latino students. Without federal intervention, the segregation would have persisted. These are only a handful of examples of the injustices that students face every day in this country’s schools and colleges. While millions of educators strive to – and do – provide rich and meaningful opportunities to all their students on an equal basis, some students still suffer unspeakable harm in school. Congress committed in 1964 – and every year thereafter – that the federal government would help ensure that our nation’s highest ideals of fairness and equality are reality for not just some, but for all students. We need the federal government’s intervention when that is not happening, and we need the Secretary of Education to lead that work. 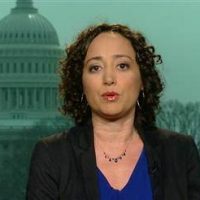 Catherine E. Lhamon, a longtime civil rights attorney, was the Assistant Secretary of Education in charge of the Office for Civil Rights at the U.S. Department of Education from 2013 to 2017. In December, 2016, President Obama appointed her chair of the U.S. Commission on Civil Rights.